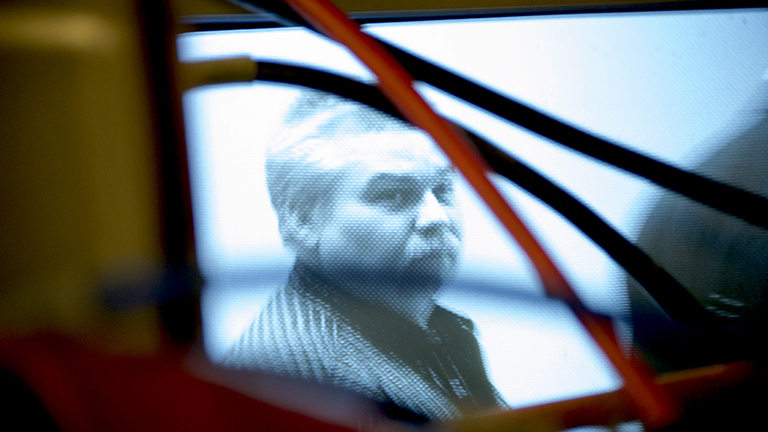 Netflix’s widely popular, 10-part documentary series "Making a Murderer" follows the case of Wisconsin man Steven Avery. In 1985, Avery was convicted for sexual assault and served 18 years in prison until DNA evidence exonerated him. Two years after his release, Avery was arrested again and convicted for the murder of a young photographer, Teresa Halbach. Avery’s 16-year-old nephew Brendan Dassey was interrogated by police several times and eventually confessed to being involved in Halbach’s murder. Avery was convicted for the murder of Halbach and is currently serving life in prison without the possibility of parole. Dassey was also convicted for her murder and will be eligible for parole in 2048. However, one of Dassey’s current post-trial attorneys questions the interrogation methods used by the Manitowoc’s Sheriff Department. Northwestern University’s Center on Wrongful Convictions staff attorney Steven Drizin joins us to discuss the documentary series and what’s next for his client. Google the name of the show and you'll get more than 29 million search results in under a second – and that's just the bunch categorized as news. Everyone from Chicago Tribune to Glamour to TMZ has written about "Making a Murderer," offering lessons learned, shocking facts missing from the narrative, armchair analysis, rumors, gossip and celebrity reaction galore. Indeed, public response to the show ranges daily from high praise to criticism of what might have been left on the cutting-room floor. But one thing is clear: Our fascination with "Making a Murderer" has galloped off to the Wild West of the Internet search engine, where you can chase facts, speculate and comment to your heart's content. But one emerging line of inquiry centers on the very real problem of false confessions. "It's incredibly hard for the average juror to understand why someone would confess to a crime they didn't commit," she said. "Especially a crime as horrific as the murder of Teresa Halbach. "It's quite easy to understand if you watch the interrogation video and have it broken down for you and explained in the way that 'Making a Murderer' does," she added. Nirider's colleague Steven Drizin echoed this when he spoke to "Chicago Tonight" over the phone on Tuesday. "People who doubt the existence of false confessions need to understand that we now have documented proof of dozens of cases, if not hundreds of false confessions by criminal defendants. What we’ve learned is they come from two things: one, aggressive coercive police interrogations; two, used upon people with vulnerabilities that make them suggestible and scared. "When those two factors mix you create a recipe for false confessions. One doesn’t have to be young or disabled to give a false confession, but police generally have to work longer and harder with adults of normal intelligence to break them down," he added. Read more highlights from our Q&A with Drizin below. Chicago Tonight: Did you expect the series would become such a national phenomenon? Steven Drizin: No. Quite honestly I didn’t know what to expect. We met with the filmmakers probably five years ago when they we’re filming our post-conviction hearing in Manitowoc. Then we didn’t hear anything because they were trying to edit over a thousand hours of film and trying to get funding for the project. I didn’t hear from them until about a year later. I had no idea what this film was going to look like and whether the general public would have the appetite to sit through 10 hours of film. I was able to get a preview before it actually launched. Overall impressions are that it is a powerful and compelling film. And that sometimes truth is stranger than fiction. The film primarily concerns Avery’s case, which is separate from our case with Brendan Dassey. So, in many ways I was watching this film for the first time as well. CT: When did you get involved in Dassey's case? SD: In October of 2007, after his conviction, I was approached by a group of concerned public defenders from Wisconsin. Brendan was not eligible for a public defender in Wisconsin because of a conflict in the public defender’s office – because they defended Avery. So he got what is called a contract defender and this is the same pool of attorneys Len Kachinsky [Dassey's former lawyer] came from. It’s important to note that these contract attorneys only make around $40 an hour. So they had a hard time trying to find anyone to take his appeal. They approached me and we took it on, pro bono. CT: What were your initial impressions of Brendan? SD: My initial impression was this was a young man with severe disabilities who was taken advantage of by just about everybody in the system, starting with the police officers who interrogated him in a way that preyed on his vulnerabilities and resulted in a coerced and probably false confession; then his own lawyer who announced to the public that he was morally and legally responsible for the crime before he had met with Brendan. Brendan insisted he was innocent. His own defense investigator coerced him into another false confession. And by the prosecutor who gave a press conference and stole his presumption of innocence to make it virtually impossible to get a fair trial. CT: How many times did the police interview and re-interview Dassey? SD: He was interviewed once in November briefly by the police and then four times between February 27 and March 1. Then he was interviewed again by the police on May 13. Before trial he would’ve been interviewed by the police five times. Every time his story was different. He couldn’t tell a similar narrative. Certainly in false confessions you see that. Their story is inconsistent in the objectively knowable evidence of the crime, and when they tell it they can’t tell the same story twice. So these are definite markers of false confessions, which begs the question of whether it’s Brendan’s story or the police’s story and explains why he would have difficulty telling it. CT: Is it normal for a juvenile to be questioned without a parent or attorney present? SD: It’s not required that a parent be required in Wisconsin to be present. In Wisconsin the failure to have a parent present is just one factor the court’s look to in whether a confession was coerced. Having an attorney present is also not required in Wisconsin. The reality is that few states require an attorney to be present for juveniles. Watch the trailer for "Making a Murderer," described by Netflix as "an unprecedented real-life thriller about a DNA exoneree who, while in the midst of exposing corruption in local law enforcement, finds himself the prime suspect in a grisly new crime." Want to see more? You can watch the entire first episode here. November 2012: Released from prison, a group of wrongfully convicted men remake themselves as blues musicians.